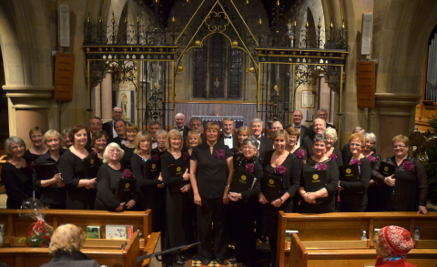 Derby’s Derventio Choir has supported many local good causes over its 21 years’ existence, and their chosen charity for last year’s Christmas concerts was Derbyshire Mind. On Tuesday February 4th members of the choir welcomed Wendy Beer, chief executive of Derbyshire Mind, to their rehearsal and presented her with a cheque for £200. The money had been raised at concerts given in December by the choir at Littleover Baptist Church, St Mary’s Church in Chaddesden and St Edmund’s Church, Allestree. Wendy told the choir that the money would help to keep the “Enjoying Derby” project going. The project has developed over a hundred themed walks in and around Derby which help people who are recovering from mental health problems to become fit and active again. Alongside the physical benefits of walking, participants also enjoy meeting new people and learning more about their own city and community. 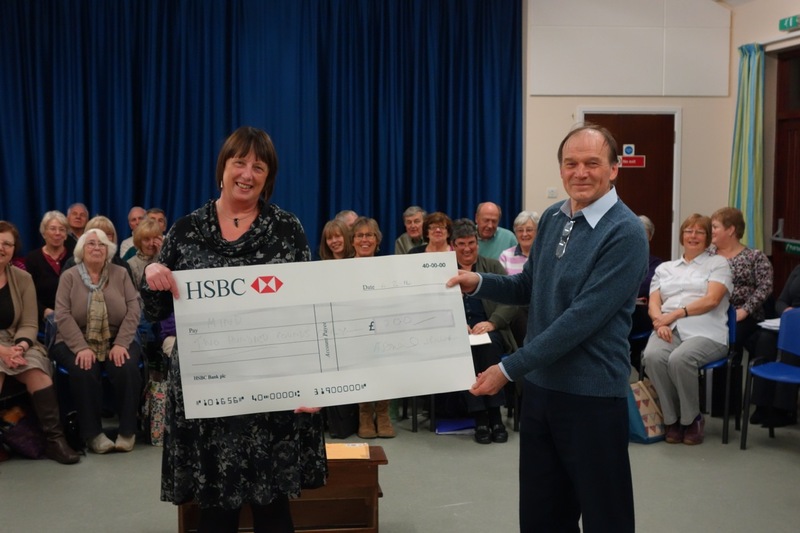 Attached photograph shows Wendy Beer, Chief Executive of Derbyshire Mind, receiving the cheque from Peter Branson, chairman of the Derventio Choir, with choir members looking on. This entry was posted in Events, News by JamieHarrison. Bookmark the permalink.